Using the appropriate brush, part the coat and in the direction in which the coat grows, brush from the root to the tip. Then, follow with your comb. The comb will always find the knots that your brush misses! Groomers tip: Work in sections, start at the neck and work your way down and back to the tail. Don’t forget to brush their chest, stomach, inside legs and armpits! Remember,this should be a time to bond with your dog, always groom when your dog is relaxed, have lots of treats ready to reward their good behaviour, and when they have had enough – stop, give them a break wait until they are relaxed again and move on the next section. You do not want this to become a miserable experience for you or your dog. Ideally you should be using a pet specific wipe such as John Paul Pet ear and eye wipes, if you haven’t got this, use cooled boiled water and a cotton wool pad, start from the inner corner of the eye and wipe across to the outer corner of the eye. Groomers tip: A healthy eye should be bright and clear. Please seek veterinary attention if they show any signs of irritation or unusual discharge. Use a wipe to remove the dirt and wax away from the inner ear. Do not use cotton buds, and do not travel into the ear canal. 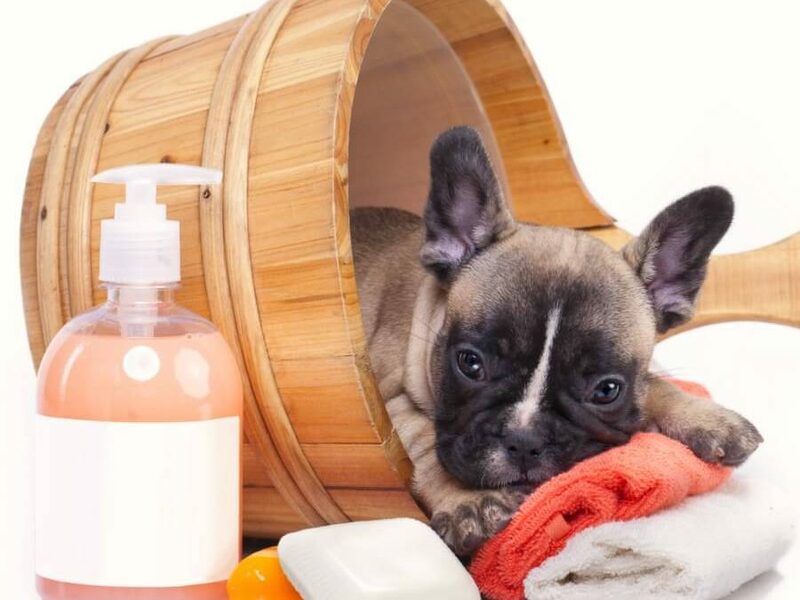 Groomers tip: If your dog’s ear looks swollen, red and irritated and smells (a bit like sweaty feet!) please seek immediate veterinary attention. Remember a healthy ear shouldn’t smell. That’s it! If you keep up the above 3 steps in between your professional grooming appointments your pet should maintain a healthy coat and our groomers will be able to attain a better trim and finish for the coat when you have your next appointment. Great tips and information! There a lot of people struggle with grooming their dogs, especially ears! I have always had dogs with drop ears so ear infections are nothing new to me I used to only use Epi-Otic to clean them, but now I use Liquid Health K9 Ear Solution and I love it. That said, one thing to possibly add to your follow up post is the cause of ear infections. We found that one of our mastiffs was allergic to chicken. He had constant ear infections for about 6 months. Once I eliminated chicken, he hasn’t had an infection since.